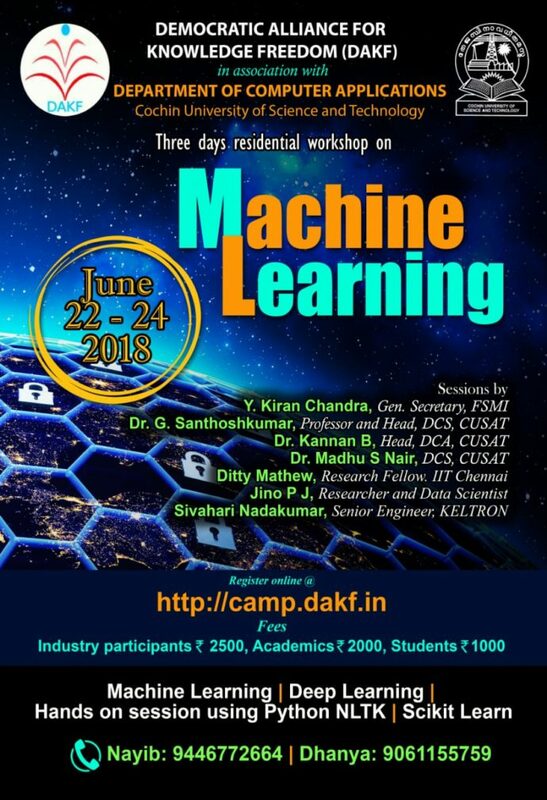 Department of Computer Application, CUSAT and Democratic Alliance for Knowledge Freedom jointly organising three day workshop on Machine Learning. The workshop will be lead by Free Software Activists , Research scholars from IITs and Data Scientists from Industry. The workshop will cover Basics, Machine learning using python and advanced topics like Deep Learning.